UAE Fellowships in Science and Engineering at McGill University, Montreal, Canada. 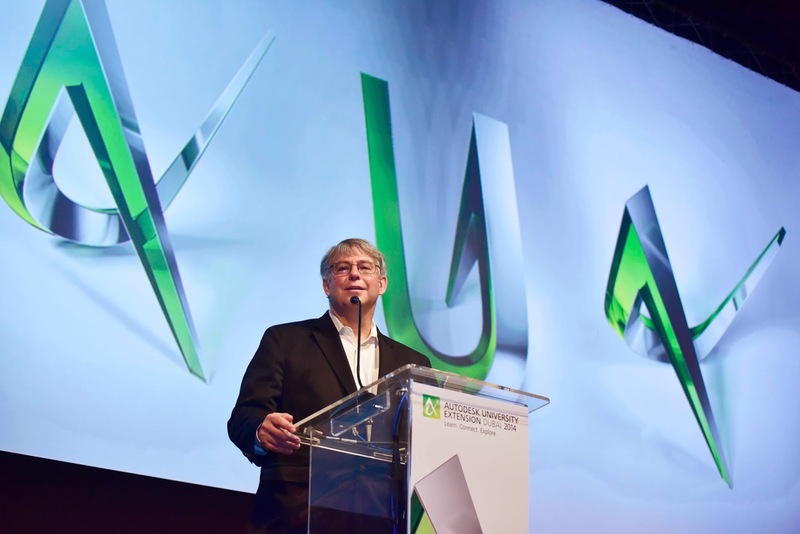 Autodesk University Extension Dubai 2014 opens. The third edition of Autodesk University Extension (AUx) Dubai 2014, the Middle East region’s premier learning and networking event for design and engineering professionals, is set to open today at the Dubai World Trade Centre (DWTC)–with the hope of attracting more than 1,000 participants from all over the terrain. Organized by Omnix International, a leading distributor of Autodesk design software in the UAE, this year’s edition promise participants a full day worth of interactive workshops, demonstrations, sessions and an exhibition, which is being held under the theme, ‘Learn, Connect, Explore.’ AUx Dubai 2014 has received enthusiastic response from the industry with top IT brands like Lenovo (Platinum); HP (Gold), Canon (Gold); Dell, NVIDIA, and AGA CAD (Silver) endorsing the event. Sessions to be held today include showcase of futuristic 3D Design technologies, engaging training sessions and projects done using 3D Design Technologies. It will also offer professionals the opportunity to network with international experts and peers across the industry. In addition, AUx Dubai will also provide opportunity to industry professionals and students to validate their skills by obtaining free Autodesk Certifications at the event on Autodesk’s key range of 3D Design software like Autodesk® Revit® Architecture, Autodesk® AutoCAD Civil 3D®, AutoCAD®, Autodesk® 3ds Max®, Autodesk® Inventor® Professional. 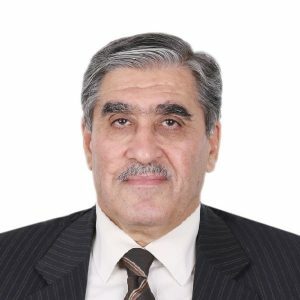 “AUx Dubai 2014 could not have come at a better time–as the Middle East region is currently witnessing a large influx of construction and development projects wherein companies are looking at Autodesk and its diverse range of software to gain competitive advantages and meet customer demands. Aiming to address these demands, AUx Dubai 2014 has positioned itself as a cost-effective venue to receive advanced training, certification, learnings on important industry trends and networking to meet potential clients and collaborators,” concluded Dr Jayant Deshpande, Director – CAE Division, Omnix International. ]UAE, November 03, 2014[ – The University of Salford’s Pro-Vice Chancellor (International Priorities), Professor Amanda Broderick, is launching a wide-ranging portfolio of postgraduate and career professional development (CPD) courses in Abu Dhabi on Sunday 2 November. The programmes being launched are all in academic areas where the University has an internationally recognised reputation. The portfolio has been developed to support sectors identified as priorities for growth in Abu Dhabi’s Economic 2030 Vision. The courses will include postgraduate level qualifications in Construction Management and Building Information Modelling (BIM), a module-level course in Diabetic Foot Healthcare and a Postgraduate Certificate in Public Health. These new programmes embrace the Middle East’s Smart City agenda and aim to improve diabetic care, whilst helping meet the growing demand for highly trained healthcare professionals in the region. Major infrastructure and construction projects are a key part of the economic vision. But whilst the Emirati’s construction industry employs more than 500,000 people, 98% of that workforce are ‘non-citizens’. Therefore up-skilling the domestic and regional workforce is a top priority. The introduction of the University’s expertise in Construction and BIM and new postgraduate courses will contribute to reducing Abu Dhabi’s overreliance on migrant workers. Hisham Elkadi, Head of the School of Built Environment at the University of Salford, said: “The University is offering a new global-leading Building Information Modelling (BIM) programme designed to develop in-depth knowledge of BIM and lean processes. As well as infrastructure, healthcare is a major area of growth in the region. Diabetes, in particular, is a serious issue in Abu Dhabi and across the UAE. The University is already working closely with Mafraq Hospital. The relationship has led to a 38 per cent risk reduction in hospital mortality and major amputation rates for diabetic foot emergencies at the facility. The new Diabetic Foot Healthcare module will help continue that success and train home-grown medical professionals. 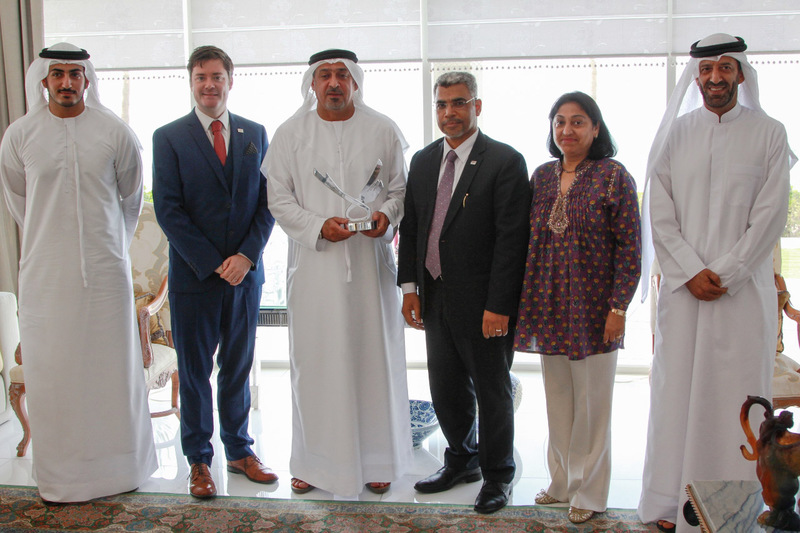 Salford has developed the Postgraduate Certificate in Public Health for Abu Dhabi as the overall healthcare industry in the Emirati has grown considerably in past 20 years. The sector now employs more than 50,000 people and is the second largest employer of women. Plus, there are now 900 healthcare centres in Abu Dhabi, with health tourism also becoming a growth industry. The region will need a highly-skilled work force to maintain such growth and Salford’s postgraduate courses will help sustain the expansion. 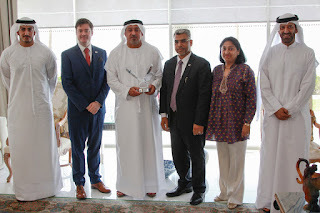 Pro-Vice Chancellor (International Priorities), Professor Amanda Broderick said: “Helping Abu Dhabi and the wider region up-skill their workforce in these specialist areas is a fundamental part of the University of Salford’s international priorities strategy. Maintaining an international context to the University for our students is imperative as the ME regional and global employability markets continue to diversify and grow. · Salford’s global programmes have been developed in line with proven educational delivery models. The traditional online courses allow students to structure their learning around busy careers or lives, with access to modules available 24 hours a day, seven days a week. · The blended learning courses on offer allow students to take advantage of online education while offering face-to-face delivery and opportunities to network and interact with fellow students from around the world. Dubai, UAE, 12 October 2014: British Council, the United Kingdom’s international organisation for cultural relations and educational opportunities, will be holding the 13th edition of the Education UK Exhibition (EDUKEX 2014) through separate shows in Abu Dhabi and Dubai in the first week of November. The exhibition will be inaugurated by HE Philip Parham, UK Ambassador to UAE on November 3 at Le Royal Meridien Hotel – Abu Dhabi and HE Edward Hobart, British Consul General in Dubai on November 4 at the Multaqa Ballroom at the Dubai World Trade Centre. The Dubai exhibition will run until November 5. The annual event targets UAE students through showcasing world class education opportunities in selected renowned UK universities. The Abu Dhabi event, open from 6 pm to 9 pm, will feature 26 universities, while the Dubai show will see participation of 41 education providers between 5pm and 9pm over two days. EDUKEX will also allow students to get detailed information about educational programmes, through dedicated sessions at both venues, while highlighting relevant information on visa requirements, studying and living in the UK and types of undergraduate and graduate degrees, as well as information regarding scholarships and financial aid, for the benefit of students and parents keen to pursue UK higher education. The 13th edition of EDUKEX is expected to attract record number of visitors, as a large number of exhibitors will showcase their special offerings, including Kingston University, University of Kent, University of Aberdeen, University of Plymouth, University of Westminster, Loughborough College, Middlesex University, London Metropolitan University, Cardiff University, University of Bradford, University of West London, University of Greenwich, University of the Arts London, The University of Law, University of Bristol, The University of Reading, Queen Mary University of London, University of Surrey, The Royal Wolverhampton School, University of Ulster, Norwich University of the Arts, University of Leeds, The University of Manchester, Loughborough University, University of Southampton, University College London, University of Warwick, City University, Anglia Ruskin University, Bangor University, University for the Creative Arts, De Montfort University, The University of York, University of Greenwich, York St John University, Glasgow Caledonian University, Regent’s University London, Liverpool John Moores University, BPP University, Royal Holloway, University of London, University of Derby, University of the West of Scotland and Manchester Metropolitan University. “Through the exhibition guide, we will help students draw full benefit from their visits by meeting with the participating universities. As a result, visitors will be able to find the right people to talk to and obtain the right information with ease,” said Jessel. British Council organises EDUKEX as one of its initiatives aimed at enhancing cultural and educational relations between the UAE and the UK. EDUKEX provides UAE students with the opportunities to obtain UK qualifications and return to the UAE to contribute to the economy with their ideas and skills. From accountancy to zoology, visitors to the exhibition will be able to gather information on hundreds of courses being delivered by institutions across the UK. The Gold Sponsor of the 13th edition of EDUKEX is The International English Language Testing System (IELTS), the world’s proven English language test that is available through more than 900 test centres and locations in over 130 countries. More than 2.2 million tests were taken globally last year alone, IELTS has cemented its position as the world’s most popular high stakes English language test by providing a reliable measure of a candidate’s ability across the four skills of listening, reading, writing and speaking.